Are you looking for a new way to bring enthusiasm, pride and motivation to your team? Here’s a concept you may not have considered: The Code of Chivalry. 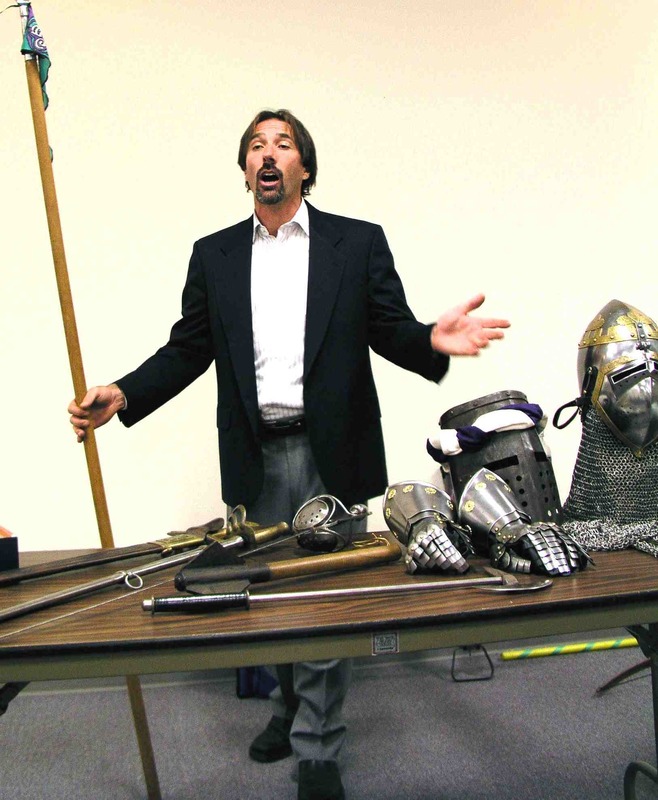 In his latest presentation, award-winning writer and speaker Scott Farrell explores the Leadership Secrets of the Code of Chivalry in an uplifting seminar that is designed to enhance competitive drive, team-building, respect, and personal honor and integrity. In this presentation, Scott examines how the Seven Knightly Virtues can be put to work in business, sports, politics or any environment where ethical leadership is key for success. Don’t ever lose sight of the fact that chivalry was a warrior’s code of honor, not a guide for etiquette and manners. Foremost among knightly values was prowess — that is, the display of outstanding skill and ability, without cutting corners or making excuses. So, any desire to do business by the rules of the Code of Chivalry has to begin with a commitment to excellence. A chivalrous leader will never accept anything less than the best, and will go to great lengths to give everyone on the team the tools, training and experience necessary to achieve prowess . 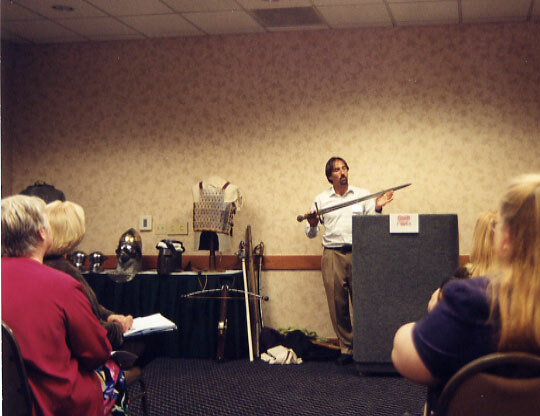 . .
We think of knights as lonely, solitary figures, but those are just romantic myths. In reality, knights were active, dynamic leaders who were part of a competitive team. They had to answer to their superiors, the princes and kings they served, and they had to be responsible to the many people who worked under them. Trust was the most valuable factor in a feudal heirarchy; without it, a knight was just a self-serving thug with a suit of armor. Just like today, a manager or leader who doesn’t inspire trust and honesty is the weak link in the chain of command. Why go the extra length to conduct yourself with honor in a competitive environment? It’s a lot of work, and it doesn’t necessarily bring any guarantee of success. I think it’s because we inherently know there’s a greater responsibility that comes with success and achievement, and we want to be part of that elite company of heroes who, through the ages, have refused to compromise their standards or dilute their integrity. If you’re ready to bring a new level of energy, respect, cooperation and commitment to your team, Scott can put together a presentation tailored to your needs.